Adelaide, Wednesday: Superstar skipper Virat Kohli on Wednesday played down suggestions Australia are vulnerable after the ball-tampering scandal, as his India side try to win a series Down Under for the first time. “I personally don’t think any Australian side is vulnerable at home,” Kohli said at his pre-match press conference, as he named a 12-man squad that included a recall for veteran opener Murali Vijay. “You cannot take any side for granted. Whatever happened, the skill level is still there. However much you talk or behave, it’s your skill that counts. In the same match, Vijay hit a century and will face the new ball with KL Rahul. India opted to hold back the naming of their final XI until the morning of the Test as they mull whether to play all-rounder Hanuma Vihari or hard-hitting batter Rohit Sharma. Ishant Sharma, Mohammad Shami and Jasprit Bumrah will lead their pace attack -- ranked among the country’s strongest ever -- along with off-spinner Ravi Ashwin. Bhuvneshwar Kumar and Umesh Yadav missed out. 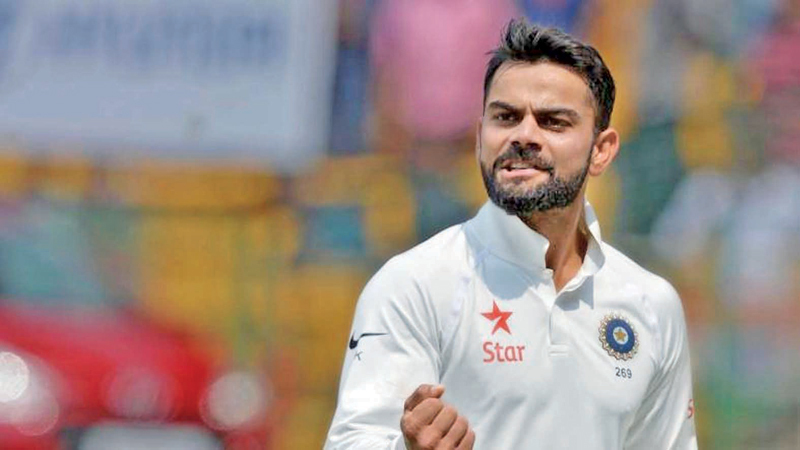 “The guys (bowlers) feel that they are at the peak of their skill levels at the moment and they are looking forward to this challenge,” said Kohli.